The Sault Metal Scene: White Cowbell Oklahoma Concert Videos And Much More Recent News & Notes!! White Cowbell Oklahoma Concert Videos And Much More Recent News & Notes!! Today's post is largely one to play catch-up on recent news and updates, including details on a national music contest, some assorted update, and a new metal song, but let's begin with some new videos from a recent show! A handful of videos are now online from the White Cowbell Oklahoma show at LopLops Lounge last month! Christopher Paci was on hand to film seven videos of the Toronto southern hard rock veterans in action for his excellent YouTube channel, and these include their songs "San Antone", "Cheerleader", and "Shot A Gamblin' Man", plus their cover of Frank Zappa's "Magic Fingers", a longer song that I can't identify off-hand, and this clip of frontman Clem Clemsen using a flamethrower (you read that right!) Embedded below is their set-closing original "Put The South In Your Mouth", complete with angle-grinding action at the end. Solid videos for fans of their country-tinged hard rock sound, and the fans are clearly into everything! W.C.O. 's crowd favourite and high energy songs are always welcome around here, and you can relive that concert above & below! 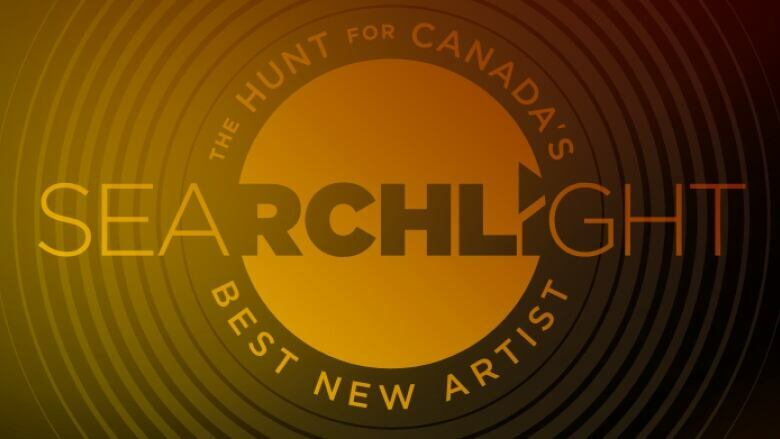 Next up, CBC Music's annual Searchlight competition begun it's voting period yesterday, and at least two local acts are in the running! The ultimate prize this year includes the Allan Slaight Juno Master Class, a trip to next month's Juno Awards in London, a week of recording time at the National Music Centre in Calgary, and a chance to perform at this summer's 2019 CBC Music Festival, with airplay and exposure on CBC stations along the way. Compared to the last time Searchlight had a major thumbprint on SMS coverage (2015), things seem very streamlined, with artists seemingly in the same national pool, and you can only search by province or territory for entered bands. You can vote once per day, no registration needed, at this link, and the top 100 acts (50 by CBC's selection committee, 50 by fans) after Valentine's Day will proceed to the next stage on February 20th. As best as I can tell, only two local bands have enterted, so who can you vote for in this contest to find the next great Canadian music act? As expected, one is local indie/punk quintet Northwest, who are looking to better their 2015 Northern Ontario region semifinal run, but new indie rockers Man Feelings (featuring Bizotic alum B.J. Swire) are also in, as is London musician and former Saultite Andy Chillman, potentially among others with local ties. Not having a CBC Music (formerly CBC Radio 2) station in the market doesn't help for contest advertising locally, but it'd be great to see a local act make a deep run, and you can do your part to help by voting at the above links! Best of luck all around in this first round! Also today, here's the latest song from local experimental/death metal solo project Awokest's Facebook page, entitled "Machine God of Hate"! Inspired by the Harlan Ellison sci-fi story "I Have No Mouth, and I Must Scream", it's not clear how this fits into Awokest's/Chase's prolific album plans, but this will appeal to fans who like his more brutal and aggressive metal material! This has a black or noise metal quality with solid shrieking vocals, and is worth a listen for genre fans, so give it a listen below! Local Celtic punk quintet Dustin Jones & The Rising Tide are recording a music video for their upcoming single "Lost & Found"! Two teaser photos were shared to their Facebook page from the shoot, which confirm that young local filmmakers Avery Obeng and Matt Hroch are behind the camera for this video, The Tide's first since "A Day Will Come" in 2012. It'll be interesting to see how this video stacks up to their prior ones, and stay tuned for updates! In their first Facebook post of the year, local promoters Six, Two, Oh. announced that they are already working on the third annual Oh!No concert festival, which will have some "deadly out of town acts", and will also feature co-organizing roles from fellow promoters Dryer Fire and Batchewana Bay mobile record store Oosik Records. No word on further details, but I have no reason to believe that Oh!No III won't be back at Robbie's Church in Leeburn in early September. Stay tuned for more on this fast rising festival! Local goregrind duo Rotopsy have announced another new concert via this Facebook event page, which will take place on Thursday, May 16th, venue to be announced (though note the Oddfellows Hall crowd shot as the cover photo.) Described as "a little shindig with music and other sounds claiming to also be music", the event name is "Degenerate Bastards Vol. 2", which seems to imply that Crucify the Whore and Chase Wigmore will at least be playing on this night, though is that it for connections to their prior split? Stay tuned!